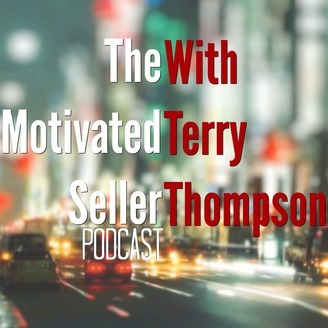 The Motivated Seller Podcast is your source for practical, real-world tactics and strategies to improve your selling skills right now. Helping companies and sales professionals attract more clients, close more sales and deepen client relationship. If you are an individual contributor, sales team leader, CEO and want to improve your professional selling skills right now, this is the place to be. The goal is to motivate, inspire, coach, train, and teach you what you need to do to improve your ability to sale professional services, and give you the words and action steps to do just that. 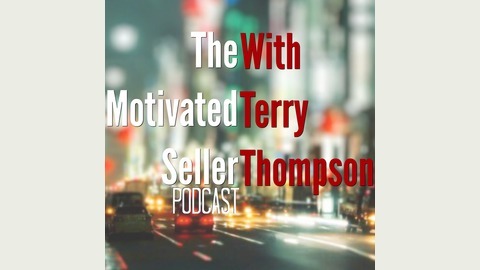 Get ready for The Motivated Seller Podcast each week with Terry E Thompson. Themotivatedseller. Today I want to give you a framework that you can use to improve your performance from wherever you are today. Identify learning goals, and any deficiencies in skills you may have. (be honest with yourself) Develop a system that you work from. Get someone you trust to give you feedback on your new knowledge, skills and abilities. Take notice of the skills you identified and determine if you have improved. Get feedback from the person you trust. Measure the goals you anticipated and your outcomes based on those goals. Here is a BIG secret you need to know and remember. People don’t drive results, systems drive results, and people drive systems. I know you have heard it many times, “we need people to get the results we want'"
If you want the results you have to have good people”. Not true. Think about it for a moment. You are motivated, talented, eager to help people, yet you don’t quite get the result you want. I say, fix the system you’re driving and you get the results you want. “Albert Einstein once said, insanity: doing the same thing over and over again and expecting different results”. Do it now, or forever hold your peace. And there you have it. Say motivated. Hump Day Wednesday; What Is Your Truth?